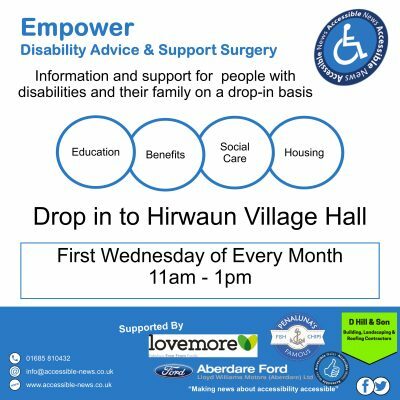 During our meeting we discussed our Empower Disability Advice and Support Surgery, updating Vikki on the types of cases* we’ve worked on and our relationships with organisations in Rhondda Cynon Taff. 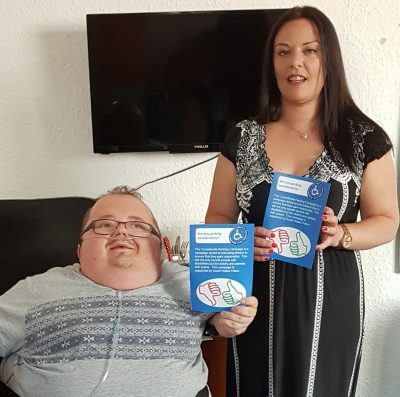 If someone is affected by disability, it is important that they can access the right information to know their rights and what support is available. It was good to meet Richard and the Accessible News team to hear how they are ensuring this happens. I want to congratulate Accessible News, and their volunteers and supporters, for their proactive work in making sure people with disabilities, and their families, can access the correct advice. * The details of all cases undertaken through the Empower Disability Advice and Support Surgery are strictly confidential. 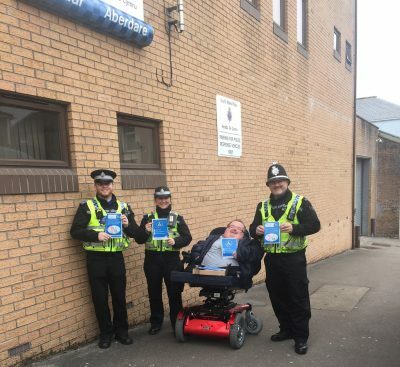 Vikki was also keen to find out more about our Considerate Parking Campaign, a campaign we are running in conjunction with South Wales Police and supported by Rhondda Cynon Taff. We’ve carried out several action events in Aberdare Town Centre and are working on other ways of fighting the ignorance of inconsiderate parking. Obstructing pavements or parking in parking bays designated for blue badge holders can have financial consequences for drivers. Since setting up the campaign we have noticed a marked improvement in parking black spots on Depot Road in Aberdare and Wellington Street in Robertstown. To find out more about our campaign you can download our leaflet here or print a poster out to display in your window. If you’d like to get in touch, either to give a story of how inconsiderate parking has affected you, or maybe you’re a driver and you’d like to have your say you can email info@accessible-news.co.uk .